You may see our work elsewhere around town but we are unable to disclose the full scale of our work online. Come in for a discover tour and ask us about what else we can do for you! Every project we do is given thought, time and creativity. These projects are no exception. Below you'll find our featured work: the heavyweights of out-of-the-box thinking, the behemoths of problem solving, and the stunning creations we love to be a part of. We never shut down the 'what if's?' and 'why not's?' These are the projects that involve every department and every mind. These are the ones we love and hate to say goodbye to. This is our featured work. No day is the same at MAC Group. Our projects are ongoing and never ending. The sights and sounds around the departments are constantly changing. From the whir of the printers to the chirps and sparks from the lasers, to the bubbling water jet; we have a lot going on. Take a look below at some of our recent work in all of our departments: print, fabrication, design, apparel and wayfinding. We hope you get inspired and let us help you with your next project. This project was no small feat. 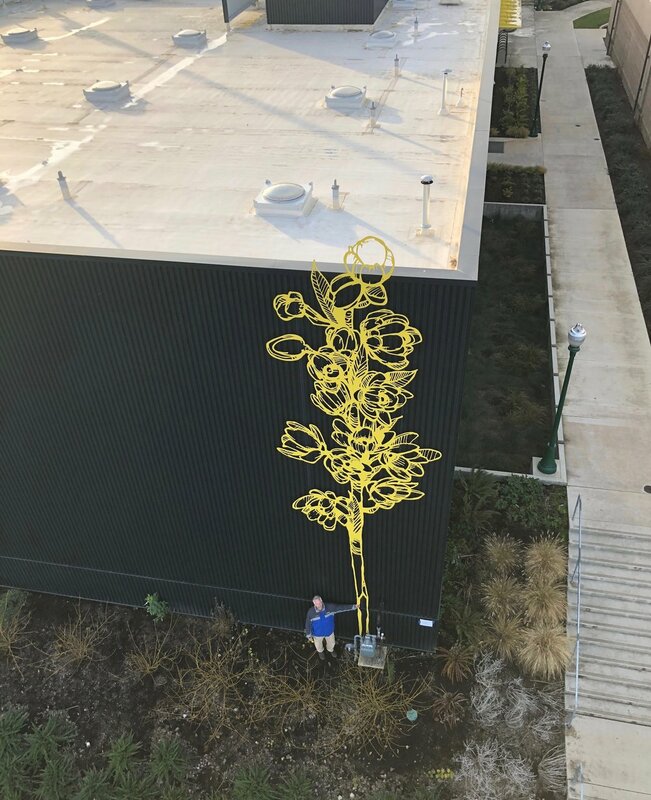 These cutouts of Oregon's state flower made a big and bright impact on the side of the University of Oregon's softball stadium. 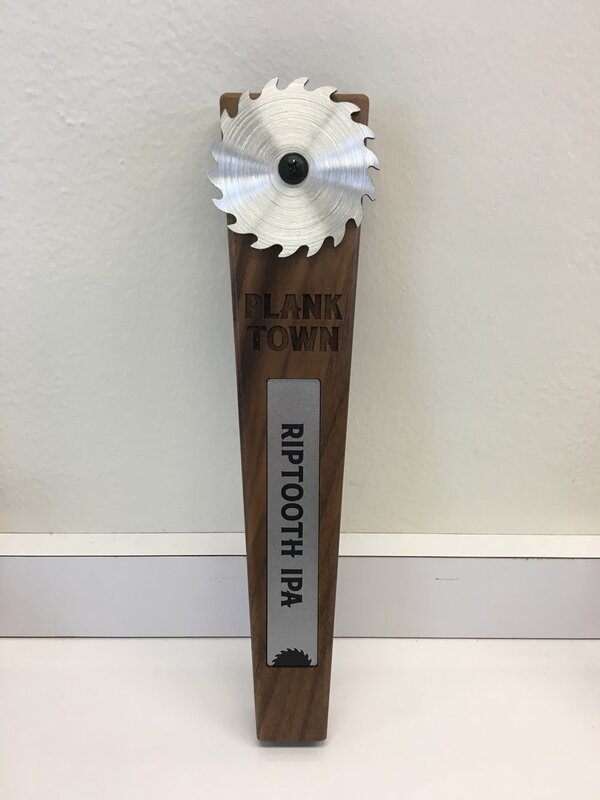 From conceptual design to finished product, these tap handles were awesome at each phase. We made the beer names interchangeable for rotating taps. We recently added custom wallpaper to our list of capabilities. Our maiden voyage was a 22 foot panorama of Spencers Butte in a downtown Eugene office building. We definitely don't start small. We love experimenting with the materials that we can print on. 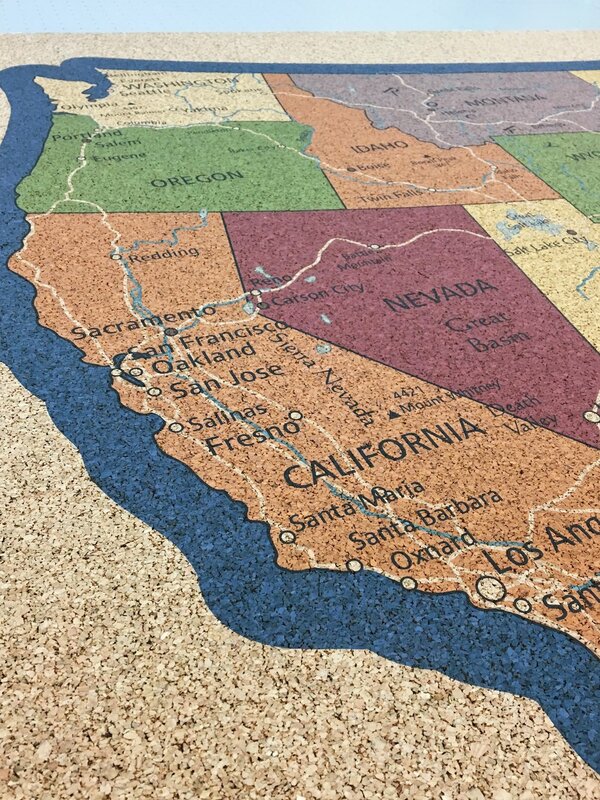 Our print technicians and designers tested out printing on cork and made cork maps for a local Airbnb. We helped Murphy Plywood make trade show magic. This booth showcases so many of our capabilities: direct printing to plywood, laser engraving, wood cuts, custom carpet, signage and so much more! We utilized every team member for this project. We love the jobs that require brainstorming and melding ideas with skill sets. The shop is always busy and full of exciting work but this project turned the shop into a maze of teamwork. Our team took a problem and created a visually appealing solution for Autzen Stadium. These portable bars get lost in the crowd during halftime so we helped develop and design portable, magnetic signs that easily assemble to the bar top and advertise beverages to Duck fans. Our trophy was featured on the front page of the Register Guard sports section after the Track Town Summer Series. 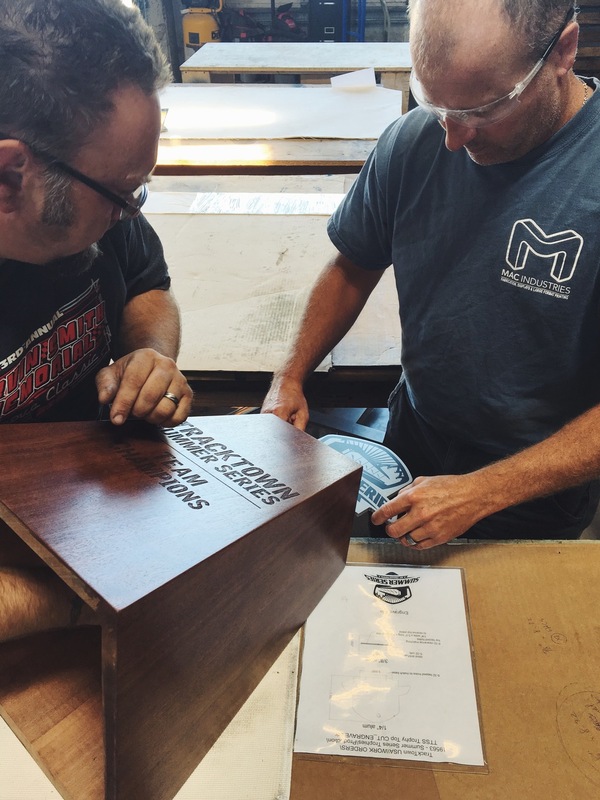 We used rich mahogany and laser engraved metal to build this large-scale trophy. Overall height was over 25 inches! Detail shot of our McKenzie Brewing illuminated bar signs. The signs are lit by LEDs and highlight the bright blue that McKenzie Brewing is known for. 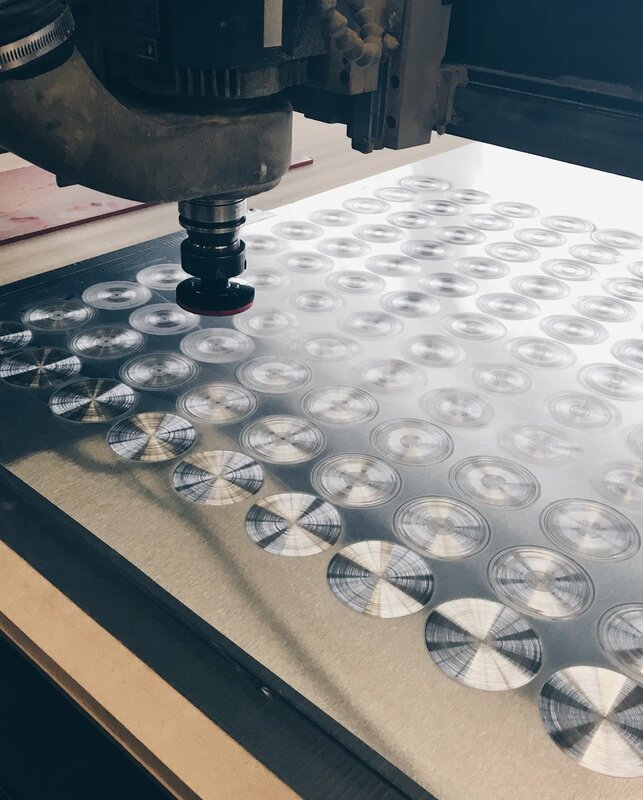 These bar signs go through our different departments from designing the logo to laser cutting the acrylic and printing the vinyl graphic. 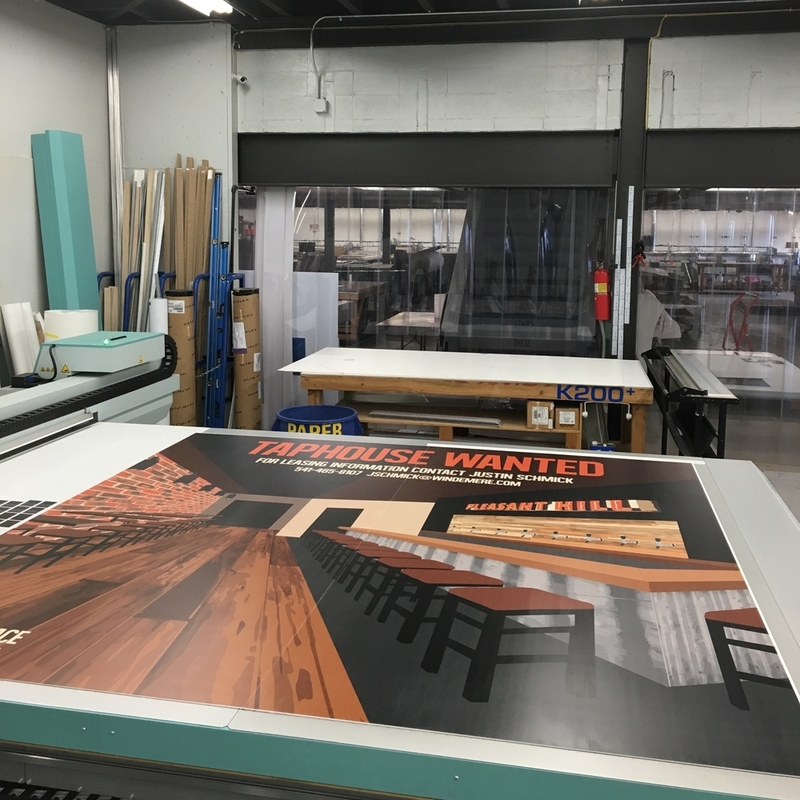 From flatbed printer to full wall, this is a giant 8' x 8' advertisement for a taphouse space for lease. Our client wanted their customers to be able to visualize what the space could be and we were tasked with making that come to life. We designed and produced a full wall ad, incorporating the feel and style of the shopping center, that will help attract a potential tenant. Shown directly above is a small window graphic we created for Just Move Fitness advertising the fitness center as a MELT method facility. This project incorporated banners, small-scale signage, torches, monument signs, and more. We love participating in exciting events Eugene has to offer. Good luck to all of the athletes competing at the 2016 NCAA Division I Outdoor Track & Field Championships. Design by AHM Brands. When a client comes in with an idea to use barrel staves for tap handles, you run with it! 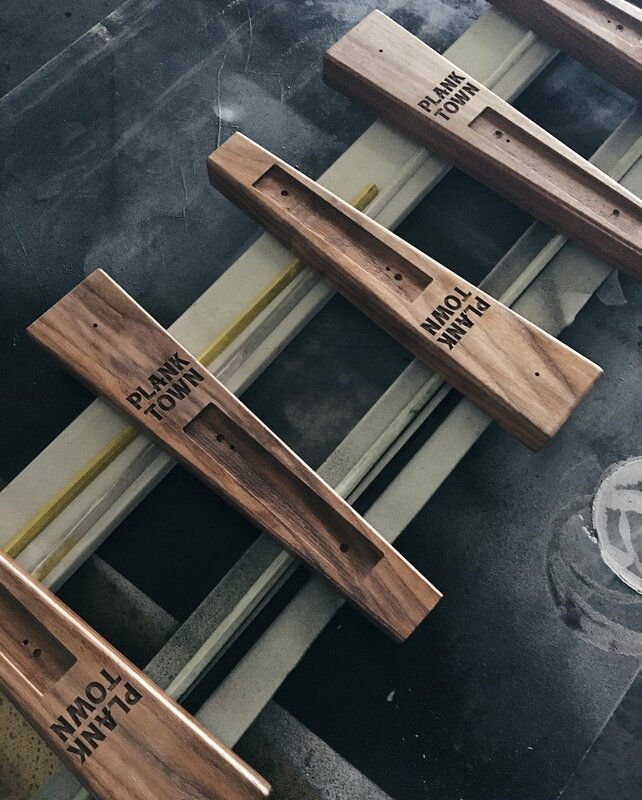 We loved Alesong Brewing and Blending's idea to create rustic and cool tap handles. 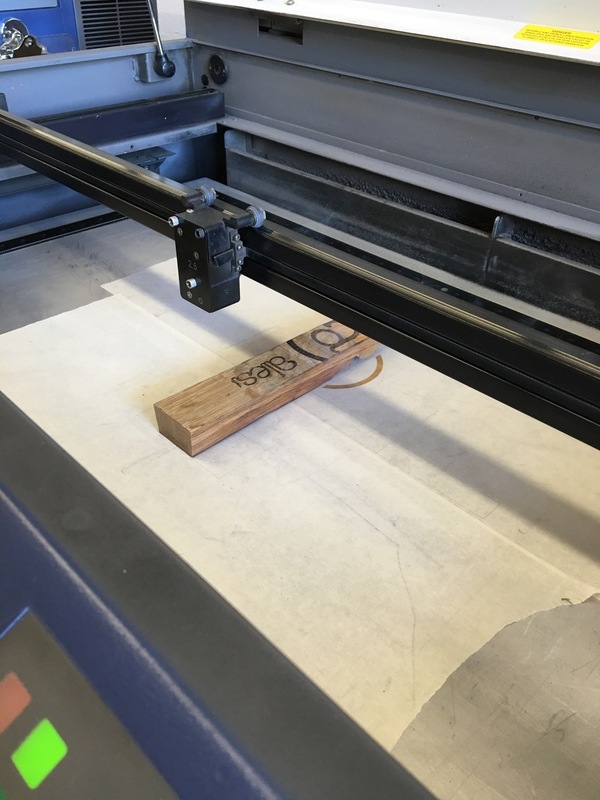 Our creative and fabrication departments worked together to laser engrave and create these oak tap handles. 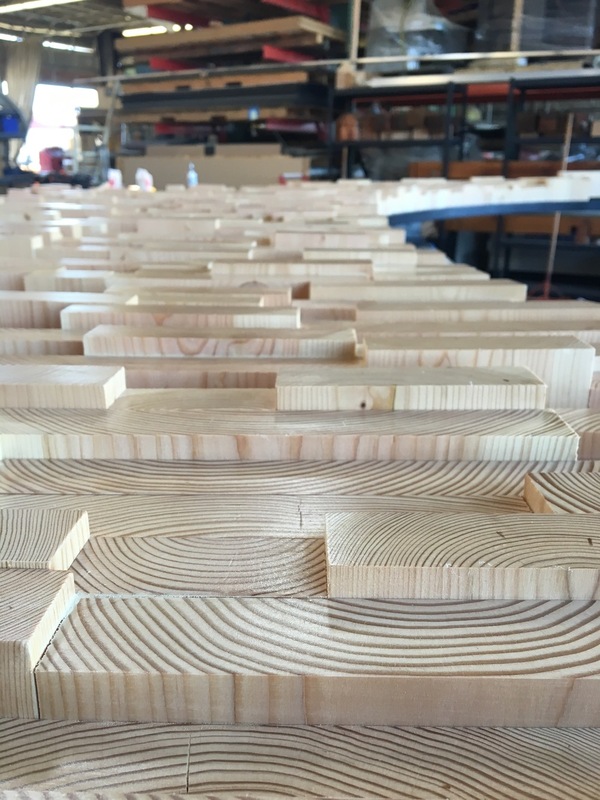 This is a detail shot from a large-scale wood structure we created in our fabrication department. Each piece of wood is layered to provide a textural and three dimensional appearance. Stahlbush Island Farms came to us with an idea; a trade show booth that could also function as the actual shipping container for all the parts and pieces. We delivered that idea with more functionality that was expected. The main table was built on top of a pallet so a forklift could move the entire booth and all of its contents with ease. That same table opened up and contained 8 smaller tables, removable table legs, 5 nesting tables, portable charging stations, two dimensional logo signs, and so much more. We helped Holt International turn their history into art. Using dozens of tiny photographs and acrylic squares we pieced together this mosaic of meaning. 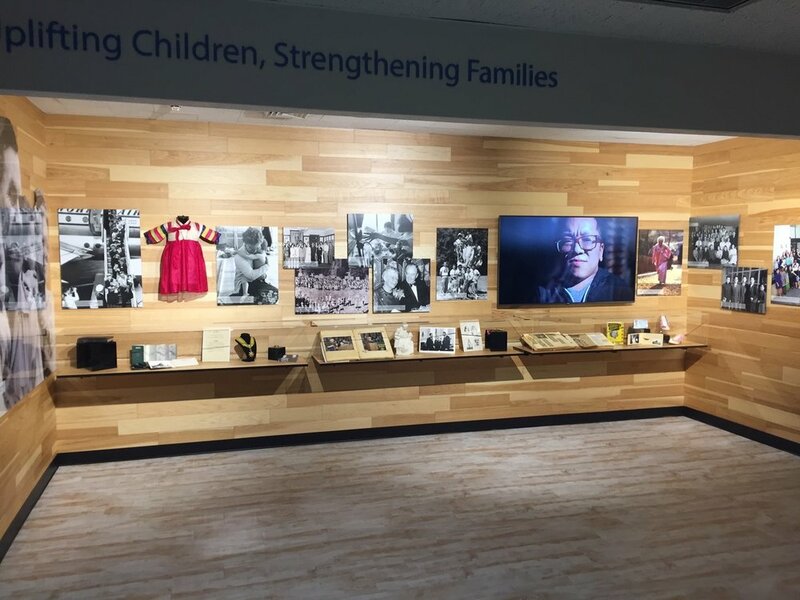 We also fabricated acrylic display cases to showcase important facts and items from the company's history. 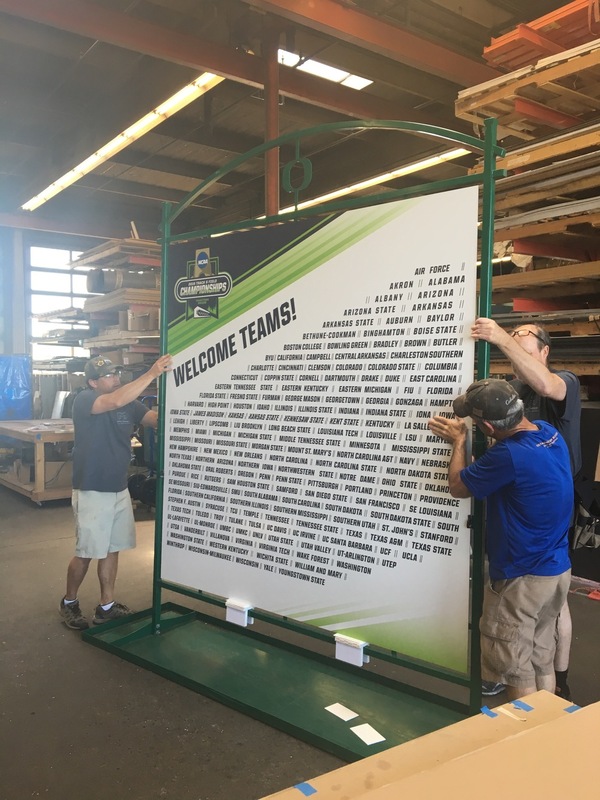 We partnered with the Whiteaker Block Party again this year to help fulfill the extensive wayfinding requirements to ensure the party runs smoothly. We also made sure volunteers, staff and attendees could be well-dressed with screen printed t-shirts and embroidered caps. This custom award was constructed from two separate engraved pieces and custom laser cut to resemble a tree ring. Our fabrication team built these acrylic and steel makeup displays. The gold color elevates the design and gives them their chic appearance. 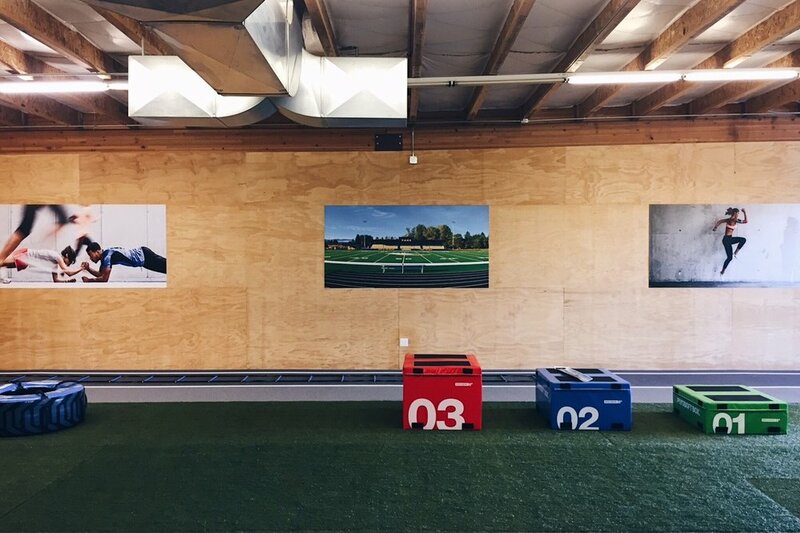 Large format prints can add a huge impact to a space. Brand your business with large scale photos that represent who you are. We created these custom guest medals for a 30th birthday party. 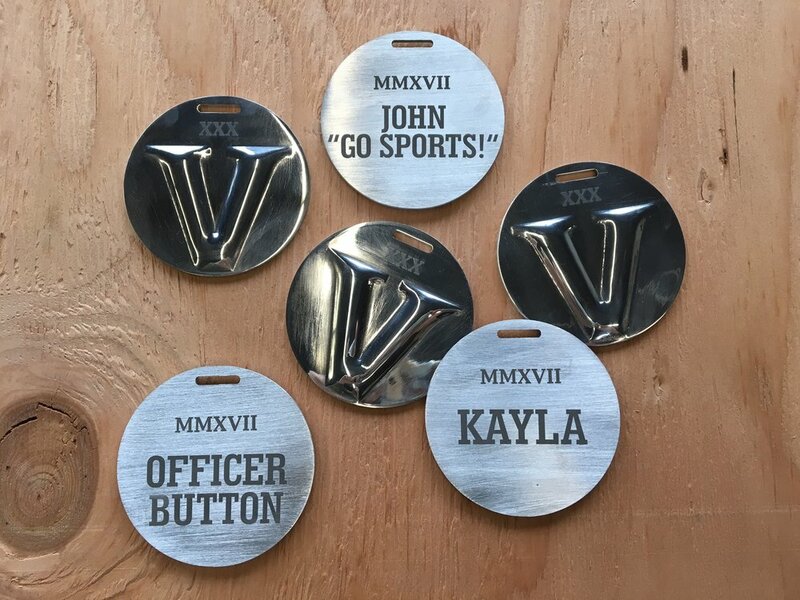 Each medal was customized with a name or inside joke. We presented a bride-to-be with wood engraved and wood printed wedding invitations. She chose engraved and we think she made the right choice. When our designer sent table number ideas to Coburg Pizza they were so impressed they chose them all! So we made double sided table numbers that featured different sides and reflected the many options that Coburg Pizza offers. 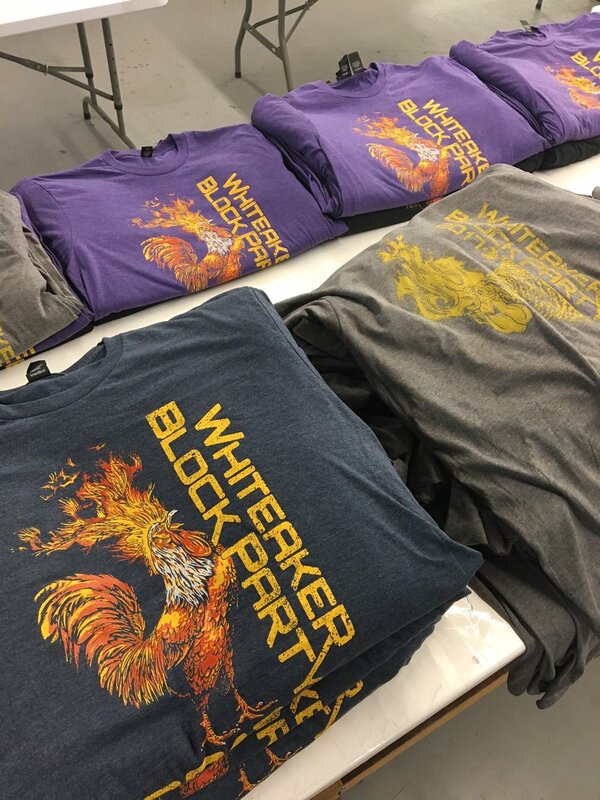 Our designers and screenprinting/embroidering capabilities can create an extensive offering of designs and styles for any of your apparel needs. We produced over 15 options for high school seniors to choose from; ensuring that everyone found a piece of clothing that suited their style. We direct printed to plywood panel for an over 100 year old company. We love supporting local and American-made businesses and products. Oregon Neurosurgery updated their logo and needed to replace their existing signage. 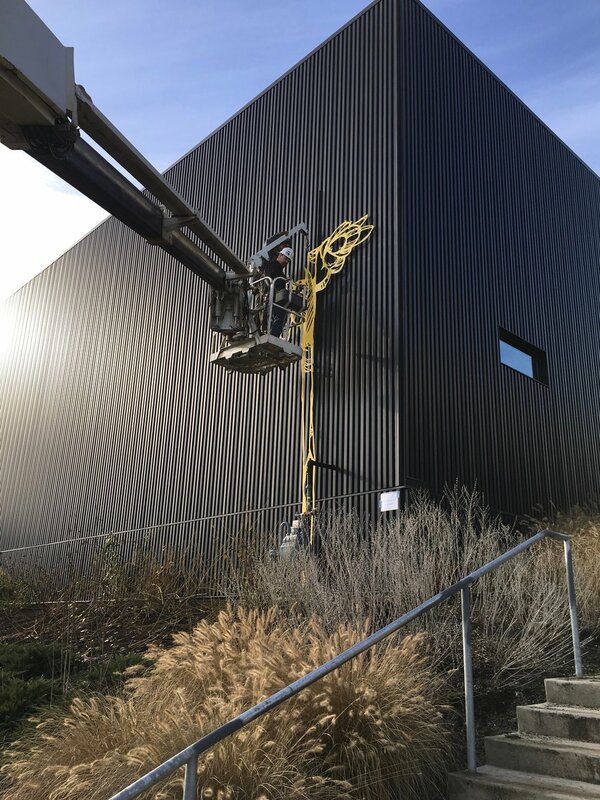 Our fabrication shop was up to the challenge of replacing a large piece of rain glass and water jet cutting brushed aluminum to achieve this clean, modern look. 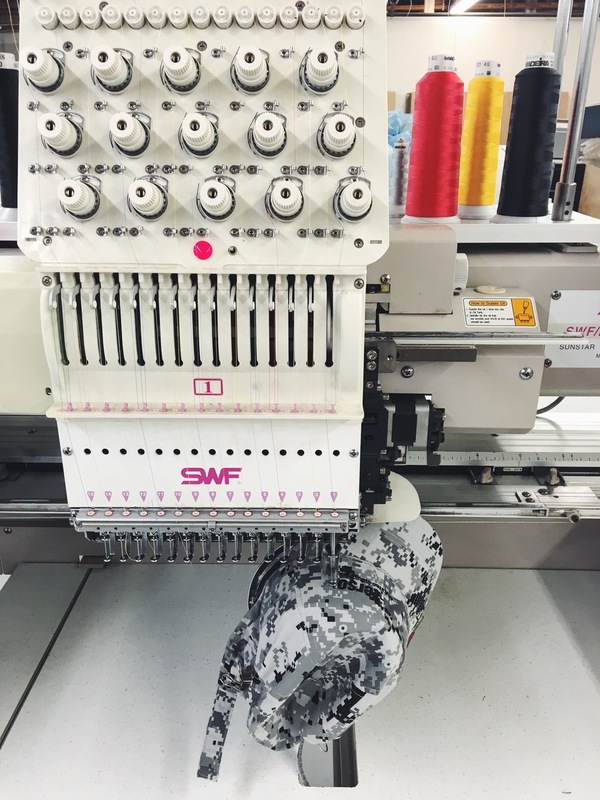 Our new embroidery machine was immediately put to work on camouflage hats for Peterson Pacific Corp. This machine has dozens of needles and a rainbow of threads and can efficiently produce apparel and art. These are laser engraved bike parts for Rolf Prima. 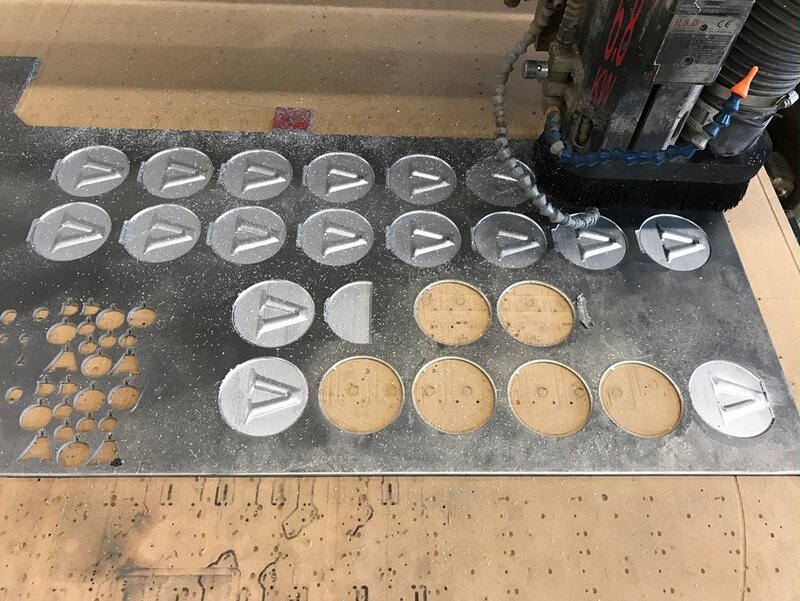 We used our fiber laser to engrave these delicate logos. These are custom awards designed for a BBQ competition. These backpacks were for the SportsTown Awards honoring local high school athletes for their accomplishments. MAC Group was a sponsor for the event and provided bags for the award winners. What better way for your business to welcome summer than to invest in decorative banners? We created and produced six banners, each depicting a different summer outdoor activity. We think summer is for a lot of things including shopping, eating, and playing. Detail of several acrylic panels we helped produce for makeup retail displays. 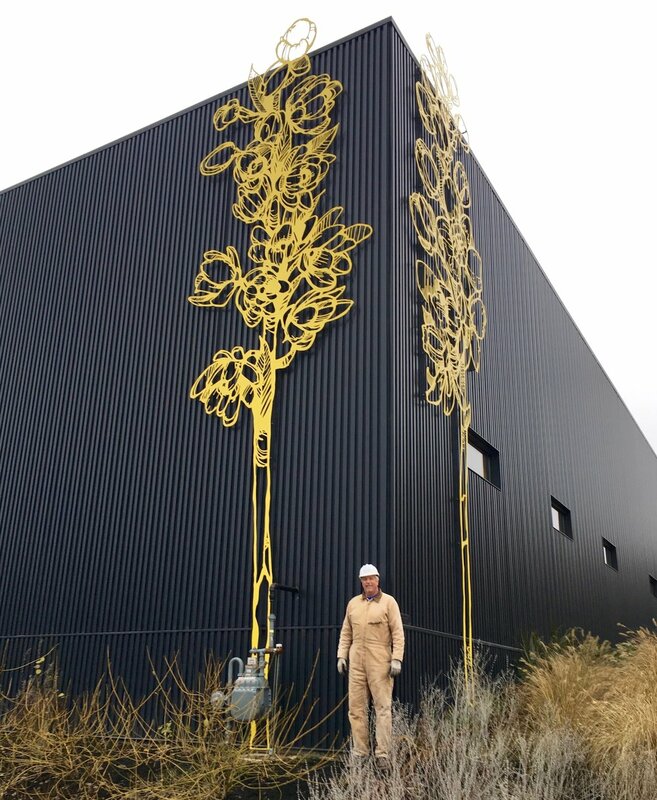 This project involved several steps including: laser cutting acrylic, plotting and applying vinyl, painting, and peeling vinyl to reveal the final design and allow light to shine through. Shown here on our light table. 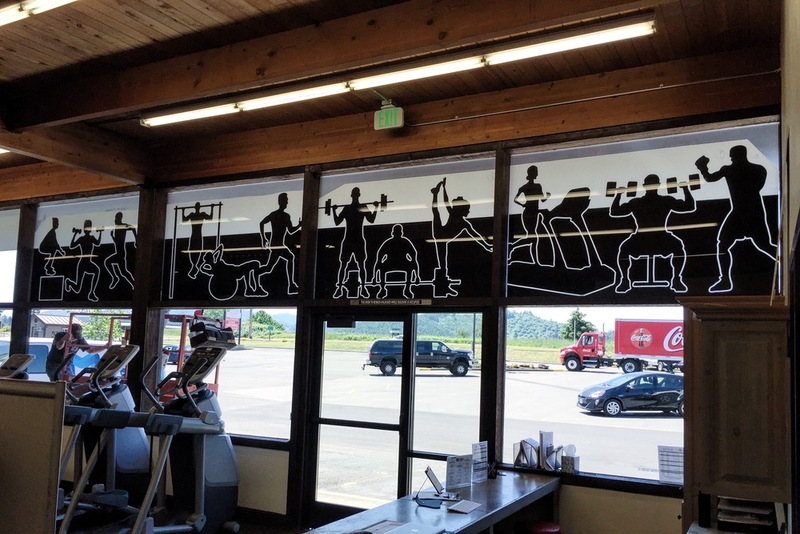 We created this shade providing fitness graphics for a new gym in Pleasant Hill, Just Move Fitness. 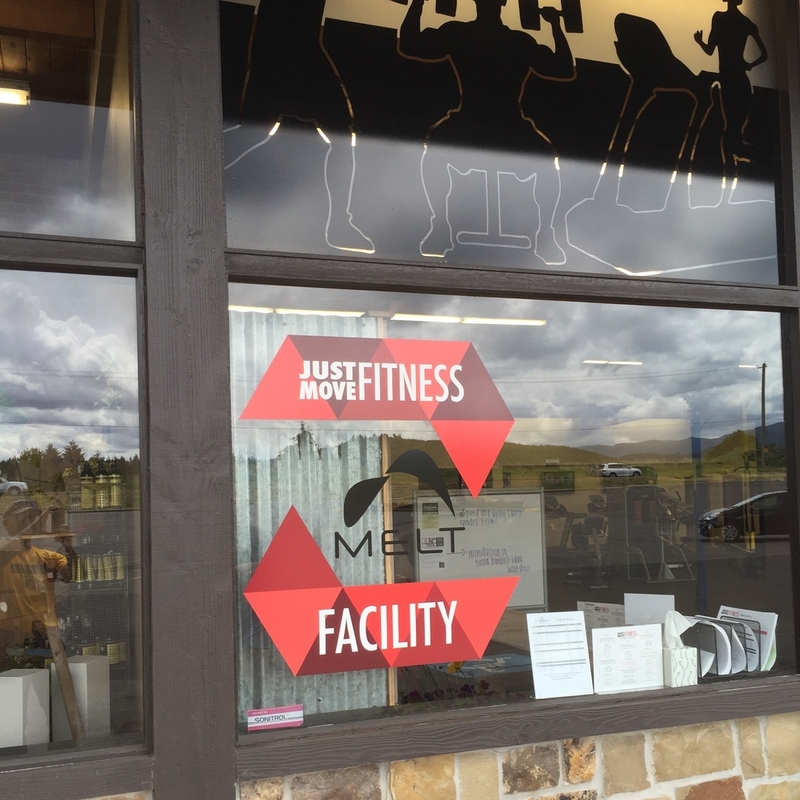 The vinyl graphics depict the many offerings from the gym/studio: dance, yoga, and fitness. We created a stencil to apply a logo directly to a barn wood wall with spray paint. What an easy way to cleanly apply designs to an awesome wall surface.